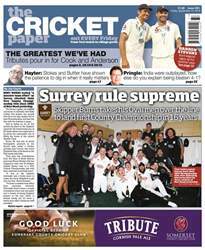 SURREY sealed title winning glory in an absorbing match at Blackfinch New Road – and Worcestershire’s Daryl Mitchell admits they deserve to wear the crown. 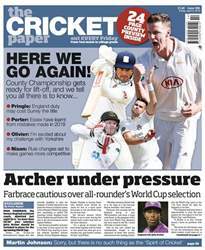 “They have played some fantastic cricket this season,” said Mitchell, who was captaining the hosts for the first time in two years due to a back injury to Brett D’Oliveira. 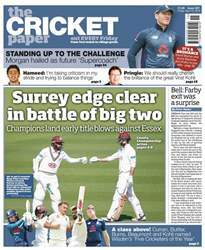 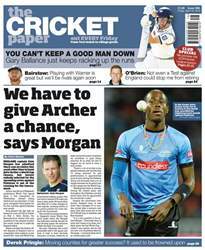 With two matches still to play, Surrey wrapped up their first title triumph since 2002 – an achievement that has impressed thirty four-year-old Mitchell, Worcestershire’s long-serving opener and chairman of the Professional Cricketers’ Association.